The Rustbusters Gazette is published quarterly. The Rustbusters Gazette is scheduled for publication in February, May, August, and November. Supplements are published and emailed as needed to keep members updated between Gazette issues. Meeting minutes are normally published in the next newsletter following the meeting. Meeting minutes published between Gazette issues will be published as Supplements and available by email upon request. Treasurer reports and membership rosters are available to members upon request. Use the Contact Us link to request a copy. Indiana MVPA Bylaws Last updated in 2006. 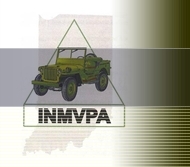 Indiana MVPA Application To join the Indiana MVPA chapter, print and mail to the address on the form or bring to our next meeting posted on the Upcoming Events page. No military vehicle necessary to join but if you hang out enough, you'll want your own. MVPA Policies Last updated 2009. More updates can be found on MVPA.org. MVPA Policy 4 concerning affiliate clubs Last updated 2010. MVPA Application Print and mail to join the International MVPA. Receive "History in Motion" magazine, annual convention registration perks, and be eligible to hold Indiana MVPA chapter office. SPECIAL - UNTIL 1 JANUARY 2019, GET $5 OFF REGULARY MEMBERSHIPS! Excludes electronic memberships. IC 9-18-14 & IC 9-18.1-8 Indiana State Codes on Military Vehicle Registration. They are concurrent and redundant but on the books. The '1-8 details the registration fee. There are no renewal fees once registered as a Military Vehicle other than local excise taxes. Effective 1 January 2017, Antique/Historic plates are not issued for registered Military Vehicles. See website below for updated procedures and forms when registering your HMV. 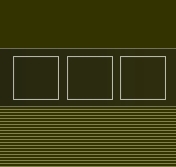 Indiana BMV Military Vehicle Registration website: Military Vehicle Registration Requirements. The checklist referenced is HERE. DOD MIL-STD-642L Defense Department document that Indiana BMV may use to verify markings required under IC 9-18-14 & IC 9-18.1-8. You will need a PDF reader to view these.